Great People, Lovely Location, comfortable bed and fabulous food! I had a fantastic stay at the Ibis Bradford. Ideal location for the station and the world class Aagrah Shipley Kashmir Restauraunt. The staff were efficient without losing their great customer service. The room was clean with a fast check in and out. The bed was comfortable - I slept through the night. The breakfast was wonderful with vegan options which is still rare in this day and age. I had more to eat here than I have in any other hotel - (including 4 star hotels in the past 4 years) well done Ibis Shipley ***** Five stars from me! A very happy customer! Fabulous! Clean, courteous, comfortable and Vegan options! Fabulous! Courteous staff, quick check in and out. Comfortable bed - great sleep, clean and Vegan options - nothing lacking! This was our second stay at the Ibis with our Son and Daughter in Law from America. We had such a wonderful stay, the staff were so friendly and helpful. Breakfast too was lovely. Look forward to our next stay!! The room was very basic and shabby. The mattress had zero ‘give’, the pillows were so hard that the back of my head was too tender to touch in the morning and I got about 2 hours sleep I was so uncomfortable. I would not recommend this property to anyone, ever. It was ok, I was only staying one night so I didn't require many facilities. However, the rooms are very basic and not really a nice place to relax after a long day. I felt the need to go out and find somewhere to eat to spend most of the evening as the room was a bit depressing. 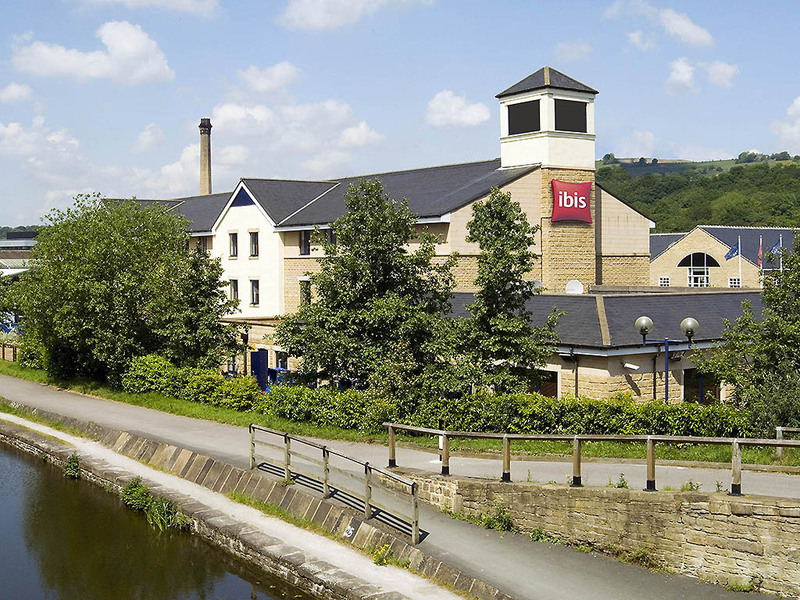 We enjoyed our stay at the Ibis Shipley room was comfortable and staff very friendly. Room was spacious and warm. Very close to where I needed to be in Saltaire, only a short walk along the canal. Extremely handy for Salts Mill and the local shops which are all quite quirky. On Sun, 7 Apr 2019 at 8:04 pm, Richard K. <ri…> wrote: I would like to complain about my stay at ibis Bradford Shipley last night. I was awoken at 11:00 with very loud talking and doors banging close to reception (I was in room 3) and this continued until 1:30 in the morning. As I was competing in the Baildon Half Marathon the next day I had to up early today to race and so could not lie in to get over a bad night. I cannot believe that other guests were not disturbed also and that staff at the hotel were oblivious or unable to control these loud and unruly guests. I would ask that my payment for this stay, as I am totally dissatisfied with my stay. I look forward to hearing from you and to receiving a full refund. Ps I did not complain at the time as I assumed staff were aware of the issue and were unwilling or unable to intervene. I had to leave early in the morning and there was no one at reception to talk to at the time. Regards Richard K. On Sun, 7 Apr 2019 at 4:08 am, <h3…> wrote: Good morning Mr. K., Thank you for choosing to stay with ibis Hotels. We hope you had a pleasant trip, and enjoyed your night in our comfortable bed. There is no need to formally check out in the morning. Simply leave the key in your room or hand to a member of staff on departure. Please find enclosed your summary of expenses at this time. We will send you the final invoice by e-mail within 24 hours. Should you have any questions, please contact the Reception team. We look forward to welcoming you again. The ibis Bradford Shipley team +44(0…33 P.S For great rates and exclusive packages book your next stay at ibis.com. And, if you are a regular traveller you could benefit from joining our loyalty programme Le Club Accorhotels (http://www.ibis.com/gb/leclub/index.shtml) This e-mail, any attachments and the information contained therein (&quot;this message&quot;) are confidential and intended solely for the use of the addressee(s). If you have received this message in error please send it back to the sender and delete it. Unauthorized publication, use, dissemination or disclosure of this message, either in whole or in part is strictly prohibited. Ce message electronique et tous les fichiers joints ainsi que les informations contenues dans ce message (ci apres &quot;le message&quot;), sont confidentiels et destines exclusivement a l'usage de la personne a laquelle ils sont adresses. Si vous avez recu ce message par erreur, merci de le renvoyer a son emetteur et de le detruire. Toute diffusion, publication, totale ou partielle ou divulgation sous quelque forme que ce soit non expressement autorisees de ce message, sont interdites. Although hotel really busy, it was so quiet overnight which always helps a good night’s sleep. Majority of staff always attentive and go a step beyond to make our short break exceptional. Well located hotel for visiting Saltaire and the Hockney gallery. Pleasant walks along the adjacent canal. Lots of good pubs and restaurants nearby. We came up for a funeral and the night before the funeral the couple in room opposite couldn’t get in their room so between approx 11.30-12.30 am they were all trying to get in talking very loudly outside our room. What made it worse is various members of staff came up 2-3 times to try all of them talking very loud. Even after we asked them to be quiet they were still loud! Traumatic enough coming up for a funeral without all the noise and not being able to sleep the night before particularly as we’d travelled 6 hours to get there! Good value for money, clean and comfortable. I had stayed previously at this particular Ibis and I had passed verbal comment, to the Reception Staff, of the disappointing experience of staying, at the time. I won't dwell on the facts. This time, a different experience. For the better! Having endured an interminable journey due to a motorway incident, I arrived much later than anticipated. The Reception Staff were aware of this incident and after &quot;signing-in&quot; I was offered a room which would not impact upon those guests already in situ. This original room was not to their standard and they placed me in another. I can only say &quot;Thank you&quot; for the extra effort they made to ensure I was made comfortable. I know people might say &quot;that is their job&quot;, but to give thanks to any Staff goes a long way. It improves their morale as well. My two-night stay has influenced me to always consider the Shipley Ibis as my &quot;stopover&quot; when visiting my hometown. Once again, pass on my appreciation to all at this establishment.